I joined sight survey of pinnipeds (Steller sea lion, California sea lion, and Harbor seal) and gray whale around the coast of the Olympic Peninsula, and tried recording underwater sounds of animals at that time. The client laboratory stored long-term acoustic data for monitoring of whales and it also included seals vocalization. I learned the most advanced way of analysis of sounds of marine animals at the laboratory and analyzed underwater vocalization of ribbon seal from the recording data. As a result, standard information of ribbon seal calls such as vocal repertoire and seasonal or diurnal changeĄĄwere cleared. Moreover, obvious geographical variation between the Bering Sea and Okhotsk Sea (recorded last year in Japan) was also suggested. I also joined biennial conference on the biology of marine mammals in Tampa, Florida from November 27 to Dcember2 and studied current acoustic or ecological research of marine animals. 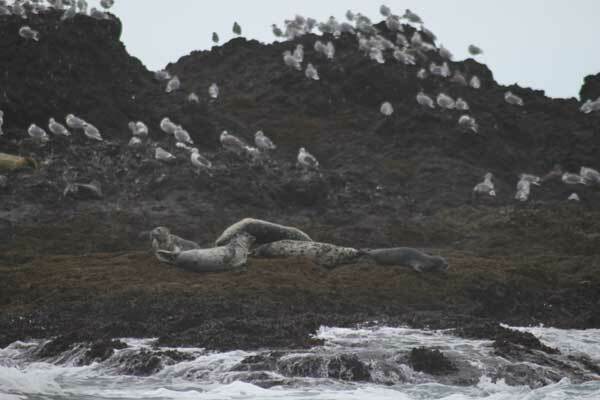 Harbor seals were found in the coastal Olympic Peninsula. 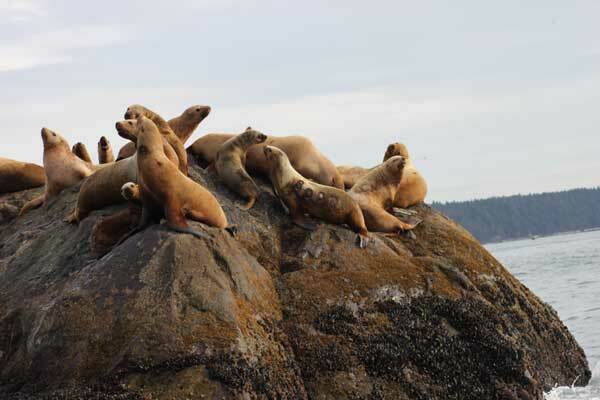 A flock of sea lion was seen in the same area. A branded sea lion for individual identification is center.